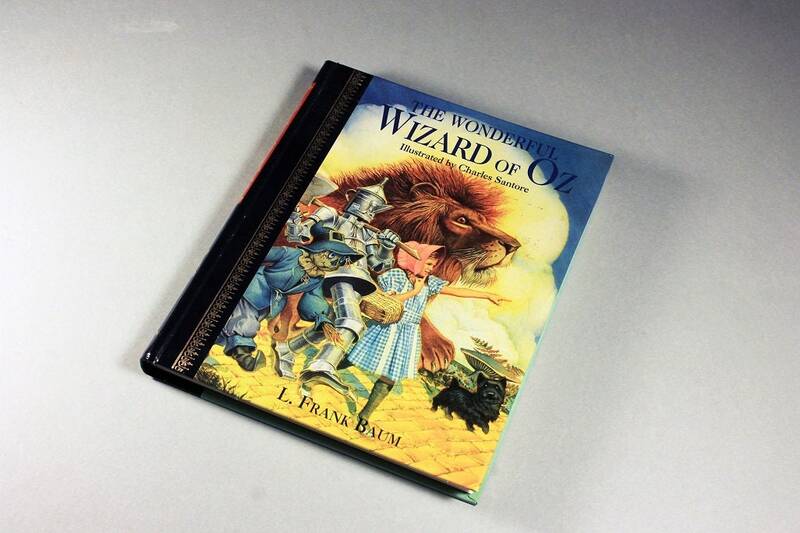 A wonderful children's hardcover book called The Wizard of Oz by L. Frank Baum. 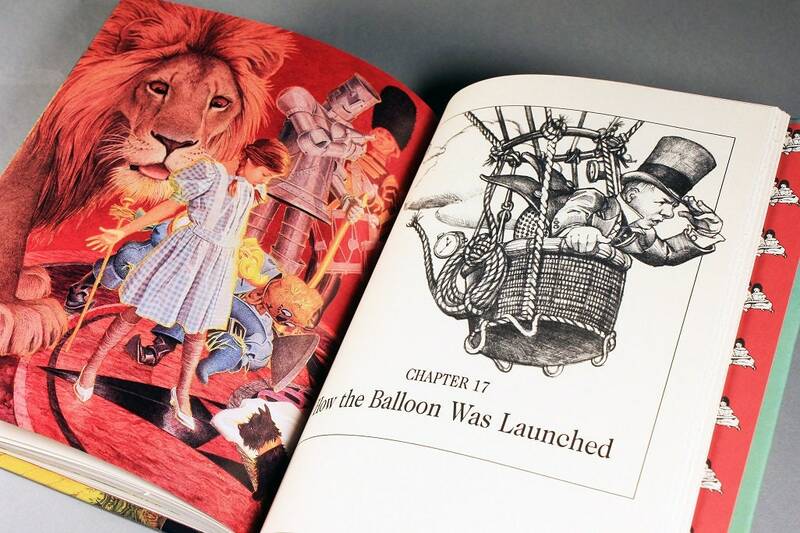 This fictional book is beautifully illustrated by Charles Santore. Grade Level: 4 - 6. 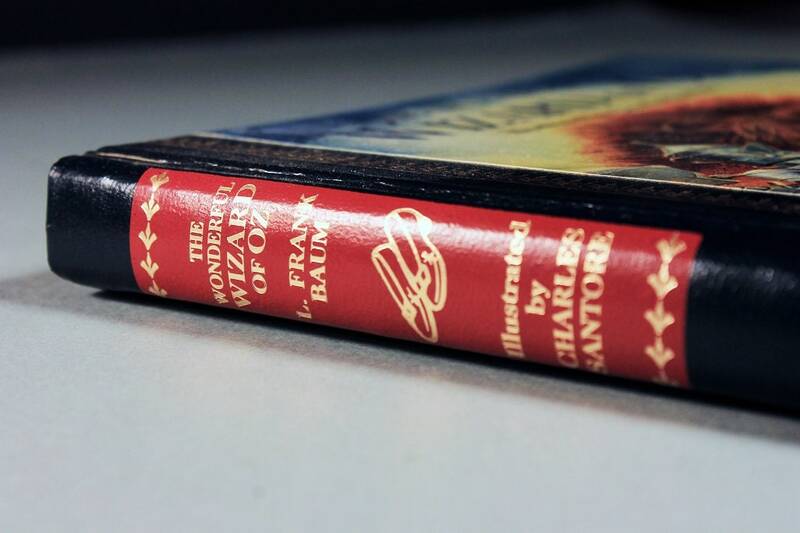 The book is beautifully bound. 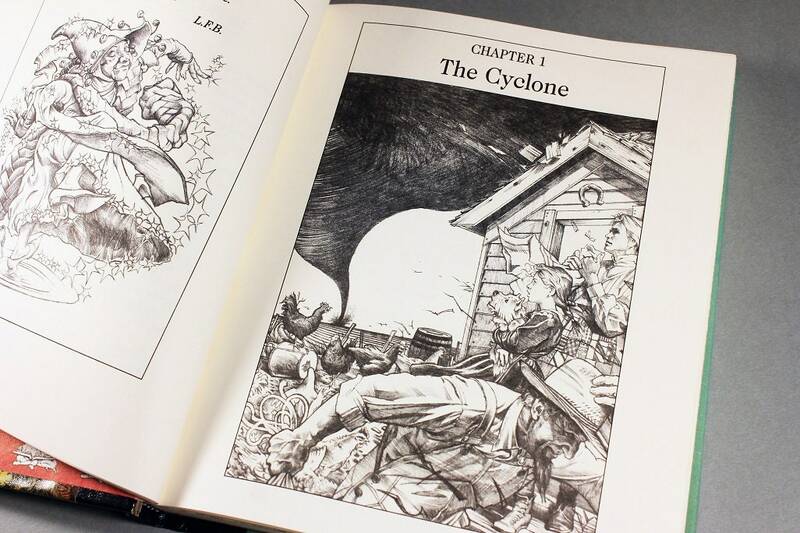 The story chronicles the adventures of a young farm girl named Dorothy in the magical Land of Oz, after she and her pet dog Toto are swept away from their Kansas home by a cyclone. 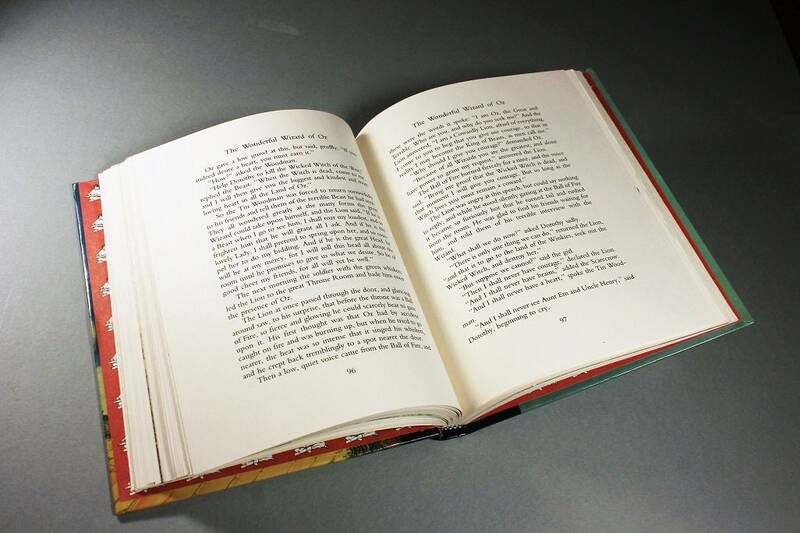 The novel is one of the best-known stories in American literature and has been widely translated. 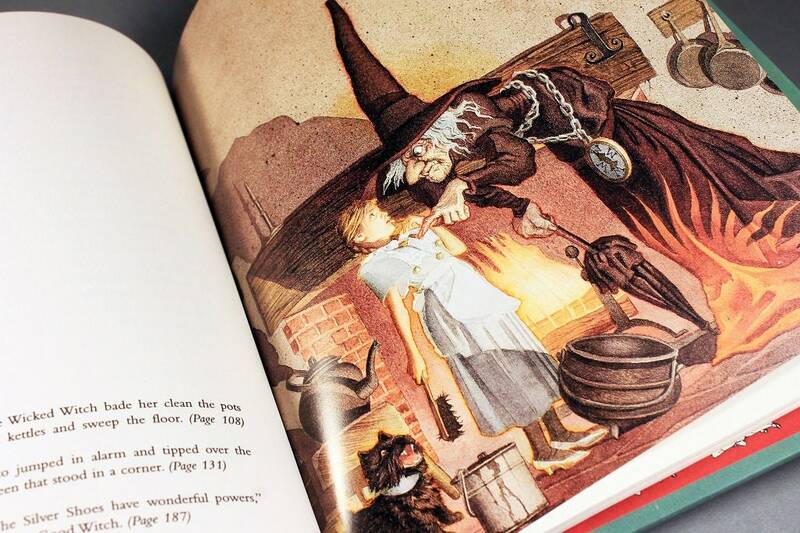 The Library of Congress has declared it "America's greatest and best-loved homegrown fairytale". 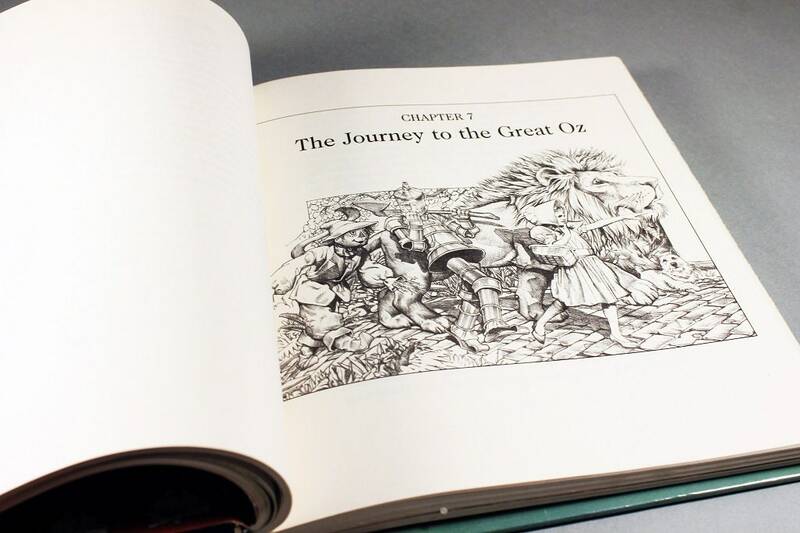 Its groundbreaking success and the success of the Broadway musical adapted from the novel led Baum to write thirteen additional Oz books that serve as official sequels to the first story. 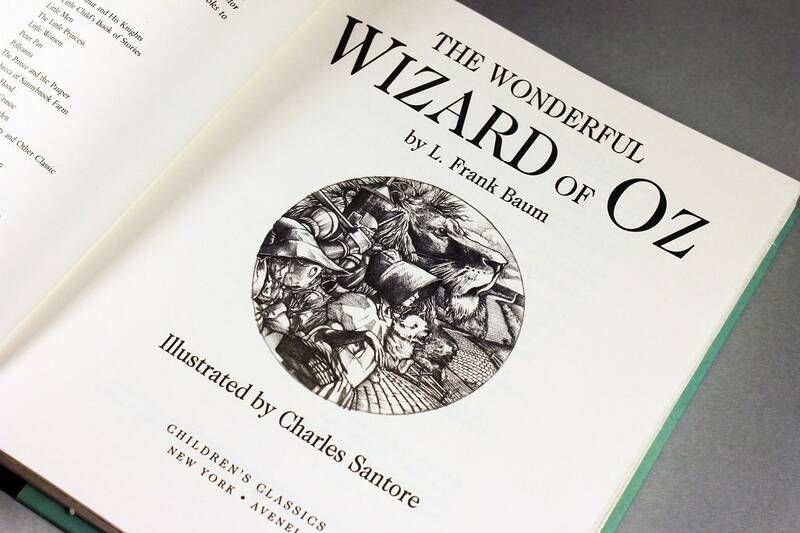 Charles Santore has received numerous awards for artistic excellence, both for his past achievements in the magazine and advertising fields and more recently for his illustrations for Aesop's Fables and the Wizard of Oz. 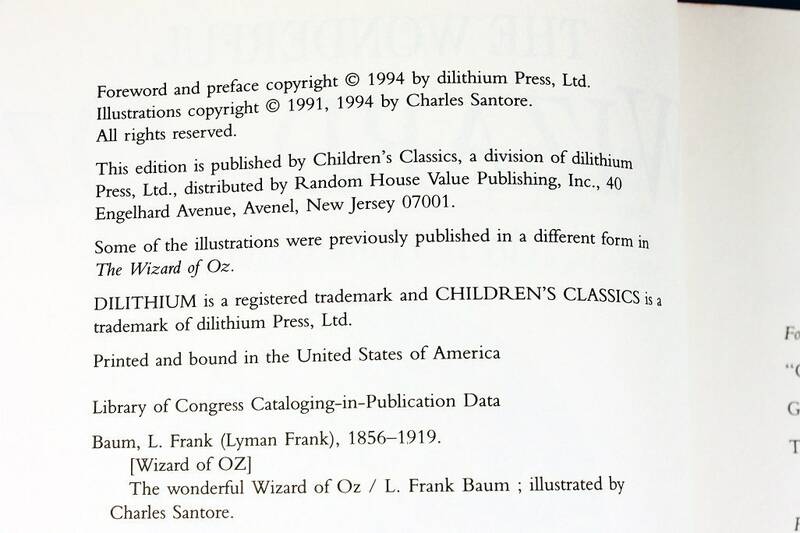 In 1992, he was honored for his work in book illustration with a major exhibition at Brandywine River Museum. He lives and works in Philadelphia. 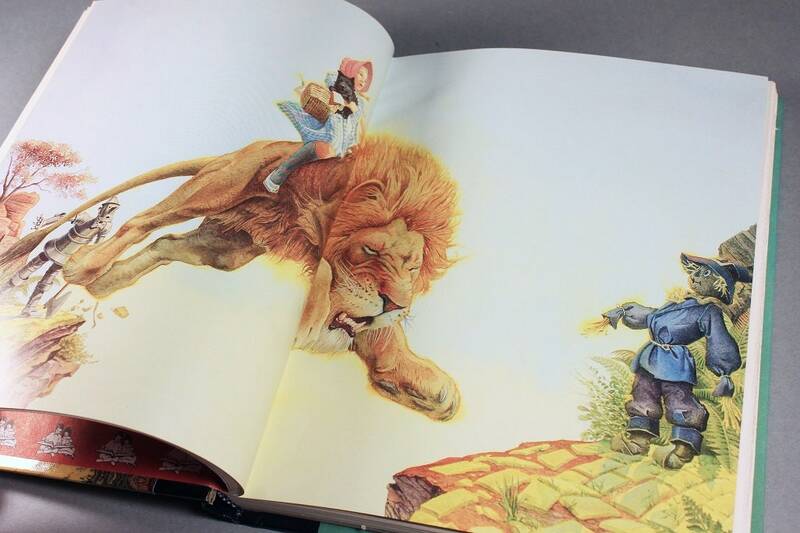 This book is in Fine condition. Binding is in perfect condition. This book is like new and has no marks and the pages are still crisp.